Wow, we've had lots of drinks over the last few years (74 different regions and lots of drinks in those regions). I'm hungry! No I'm not a food blogger and never could be because I usually don't understand much about the way food is plated. My normal reaction is "me hungry" and "mmm good", much like Cookie Monster if he just ate slabs of meat. But I do understand the difference I feel the next day after I grab a local bite vs. a fast food run at Closing Time (are you singing "One last call for alcohol" as you read that). Don't get me wrong, I have throughout my life (college and adult) had my fair share of Number 3's, hard shell, with a side of Nachos Bell Grande or Double Whoppers. In some unfortunate situations it's the only thing available and we all know that some food "needs" to be consumed after Closing Time. With all that running through your heads, I'd like to change this post up a little as well (beyond being about food instead of beer, wine, or spirits). Our normal format is as a guide. We hit places you may not have heard of including towns, give you the lowdown, and hope that you'll stop on your travels and support these fine local craftsmen. We get great feedback from our readers and love to interact on social networks with many of you about these places and then move on to our next spot. What I'd love to do this time is give my favorite spots while picking all of your brains as well. I haven't been everywhere but I have a long list so I'd love for you (you beautiful boozy travelers) to chime in on our comment section. When you travel (or have a drink at home), what are the locally run spots that must be tried after a night of filling up on local suds? Do you have a place that cranks out great tater tots, nachos, pizza, or a combination of all 3? Let us know, because we'd love to move forward with a new phase of sharing and caring together (message board style) on the site. I have to start where this blog started. We kicked off Passports & Cocktails with a meetup in one of the most underrated travel (and food) spots in the US, Madison. True I was raised in the Madison area, but I have spent most of my adult life traveling there vs. living there. The local booze culture is strong in Madison, as is the local food culture. 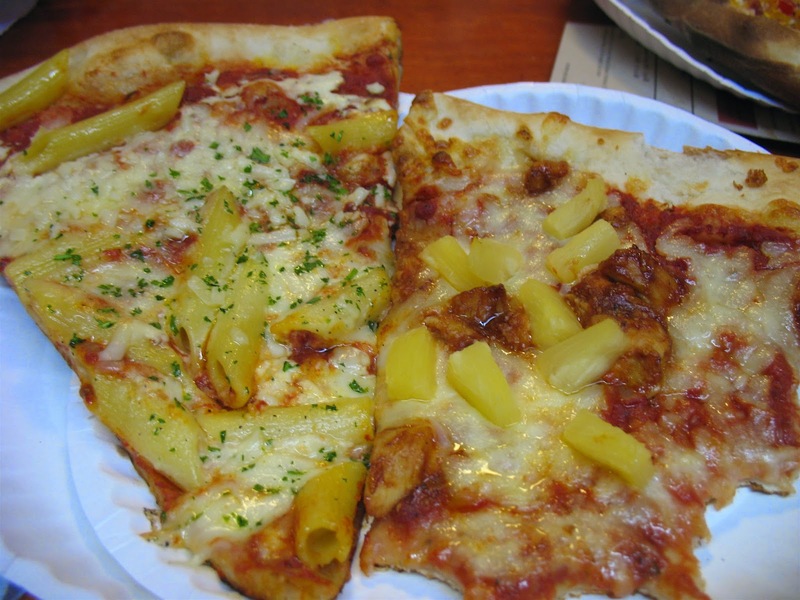 One staple for late night eating in Madison is Ian's Pizza. Sure you can get a regular slice at Ian's, but it's late night and I already mentioned that I like tots and pizza, so why not add smoked brisket and grab a slice of brisket and tots pizza. Yup, it's real along with many mind bending stomach loving combos. They have branched from the original Madison locale to Milwaukee and Denver now but hit the original in downtown Madison and chat up all the folks in line, the line means it's great. And yes, nearly all of their ingredients are from local Wisconsin farms so you'll get the freshest ingredients on your slice. I love deep dish pizza in Chicago, but after a night of drinks that pie from heaven above is just too filling. Enter The Wieners Circle! 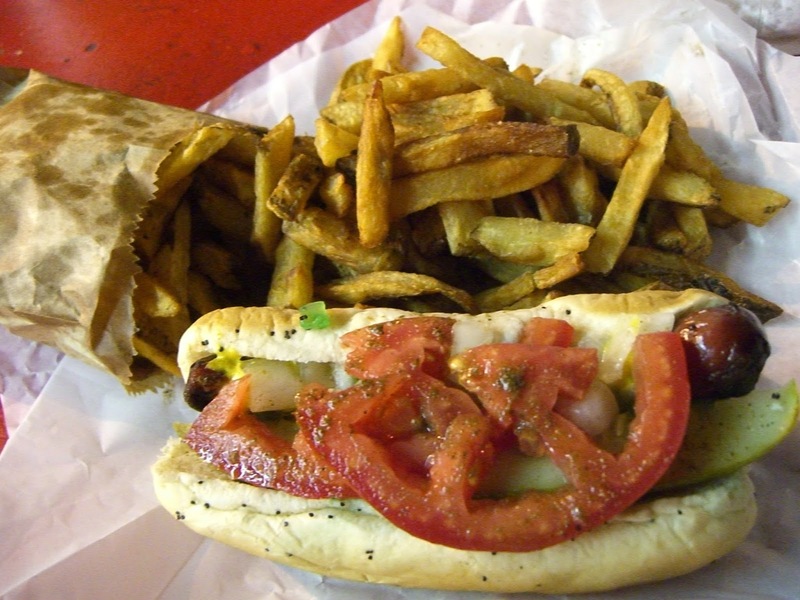 There are many places to grab a Chicago Dog in, well Chicago, but there is something special about the char on the sausage and the attitude from The Wieners Circle. There is nothing more fun for me than being put a little on edge when ordering a late night bite, and the employees at The Wiener Circle are as real as it gets. Be prepared when you order or be prepared to get an earful. The dogs are amazing ( I recommend a double char) and so are the people. There are great spots to get a drink all over the Lincoln Park area of Chicago and they are all within stumbling distance of The Wieners Circle, trust me. And for those who don't like a Chicago Dog (first shame on you), the char burgers look, smell, and from the mmm's at the picnic table next to us taste fantastic as well. Granada from the Alhambra...with Kebab King No 1 lurking below. I love a good doner kebab. I believe I have had at least one in every city we've traveled to, and in some instances have just filled up all of my mealtimes with kebabs. But in Granada, Spain there is one late night kebab place that trumps all others, Kebab King. I honestly have not stopped thinking about the kebab I ate at the Kebab King. One of the things that makes Kebab King special is that there is a choice of meat. Don't get me wrong, I love a lamb kebab, but at Kebab King in Granada you also have a choice of chicken and veal (all halal). The toppings are also plentiful and there are vegetarian options. 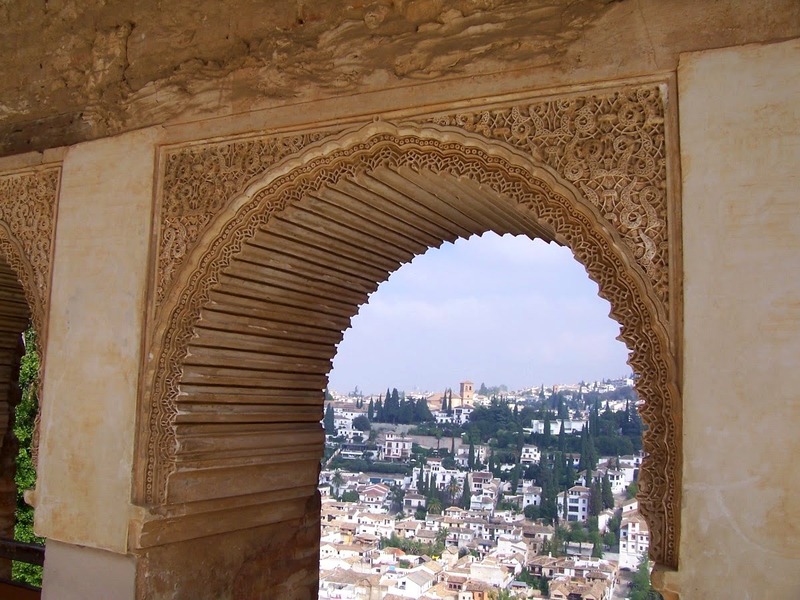 Many think of Granada for the Alhambra and it's location at the foothills of the Sierra Nevada's, but Granada is also a university town with a number of great places to grab a local drink including an Alhambra beer. Kebab King No 1 (or now No 2 as well) are what a kebab should taste like, and after a night of Andalucian partying I think you'll agree. As you can see, I love to put some meat into my system after a night of drinks, so I was actually a little skeptical about drinking all night and then throwing down some beignets. I remember hitting the 24 hour donut bakery when I was in college and not feeling that great the next morning. Something about the excess sugar booze. Well, I'm glad my brain doesn't actually control my food finding instincts (I'm sure it does, so thank goodness my wife was there to push forward). All the hype about Cafe du Monde is true. Eating these sugary bombs after drinking is perfect. It's a simple order, beignets, beignets, and more beignets. The flavor is unrivaled and no matter how long the line is, it is worth it. 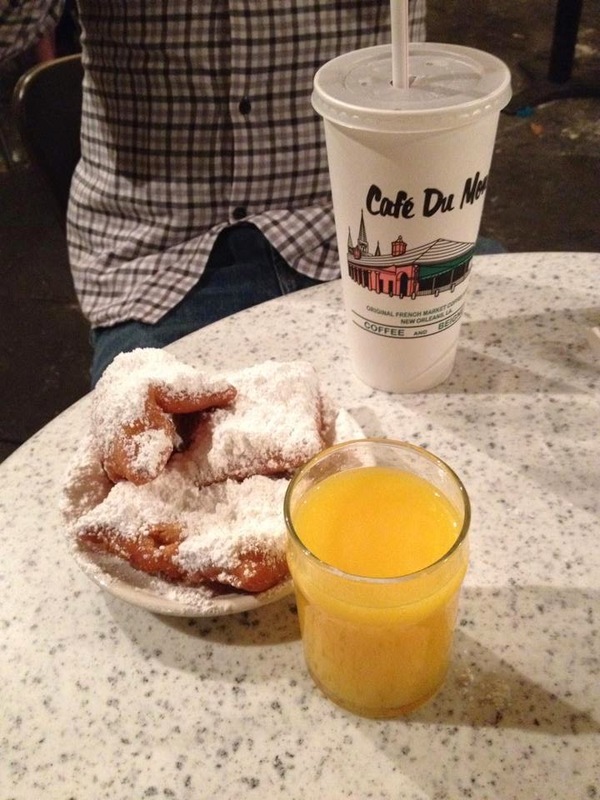 The beauty of Cafe du Monde late at night is, with all of your new sugar energy, you are ready to take on a few more local cocktails on the walk back to your hotel. Double winner! London has about a billion late night choices for a quick tasty bite. Every flavor in the world is represented, but for my money there is one place you must hit after a night of pint tipping, Beigel Bake. This Shoreditch institution, serving up bagels 24 hours a day, sits in the heart of a great drinking area as well. There is nothing fancy about Beigel Bake which makes it even better in my book. The menu consists of your normal bakery items (breads, pastries, doughnuts), but the reason to stop in after a night of pints in the hot salt beef beigel. What you'll get is a fresh bagel with pickle, mustard, and tender salt beef. When I say tender, I'm talking as tender as any brisket you've had in America. The hot salt beef beigel form Beigel Bake may be the only reason I didn't miss a flight home from London, IT'S THAT GOOD! 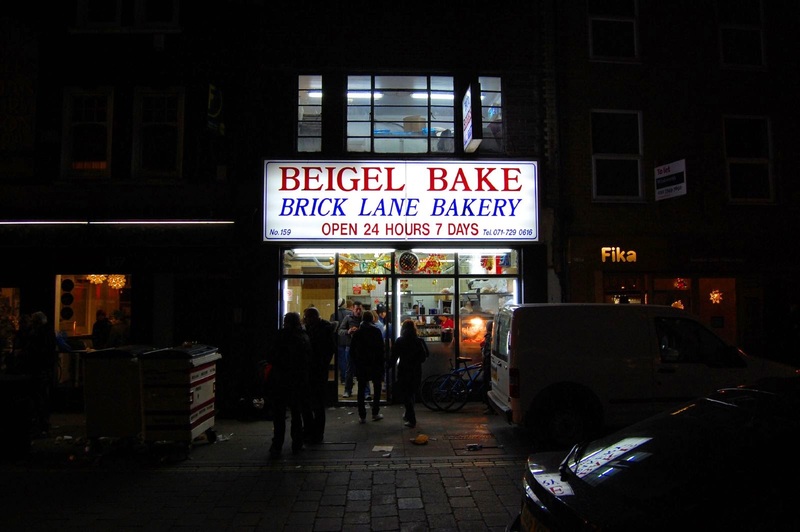 Even if you're not in East London, make plans to get there before nights end so you can have a beigel to end your night. Plus, like the other on this list, the line of people is always there and good for a whole bunch of laughs. I'll stop here. These 5 establishments pop right to the front of my head when I think Closing Time travel bites. 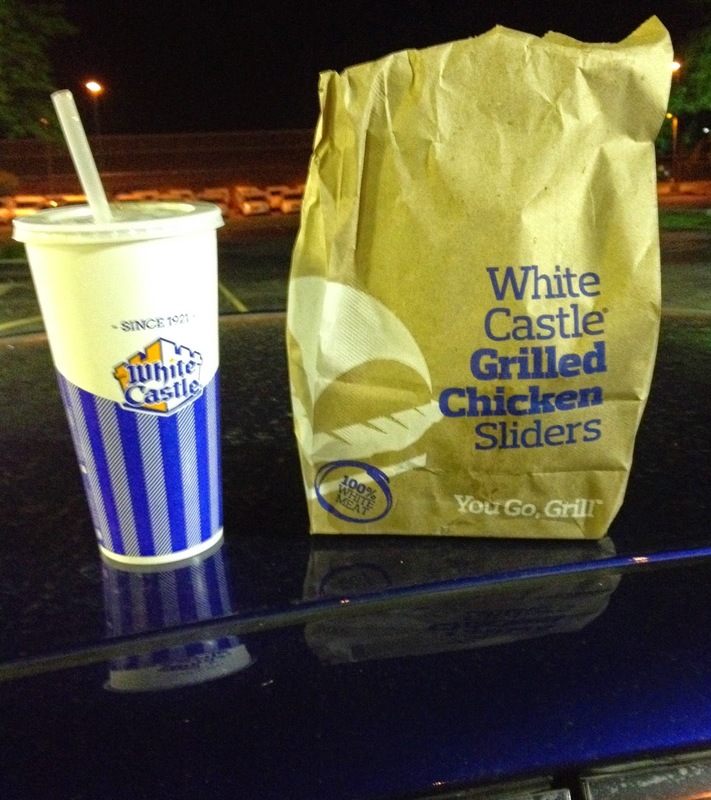 Wait, I want to quick add if the city you're in has a White Castle (I know that doesn't fit but I just love a sack of sliders and chicken rings) you should hit White Castle too. OK, since that's out of the way it's on you the reader, what's your favorite/favorites? Where is this place, why do you love it, how late are they open? As we continue with our mapping project we'd love to add more pictures and descriptions as well. Get yourself on the map, we'll show you some love. I can't wait to try your favorite place for a bar time bite. Cheers!